Vanda Trappio Patton, one of the legendary “foot soldiers” of the Civil Rights Movement in Savannah, Georgia, died April 6, 2018, at 79, from age-related illnesses. Patton was among those African Americans in Savannah who at first were doubtful about civil rights leader Martin Luther King Jr.’s unwavering commitment to the strategic use of nonviolence to end racial oppression in America but later became one of his dedicated followers. Her support continued even after getting arrested, on her twenty-fifth birthday, for participating in the Chatham Crusade for Voters during the summer of 1963. Following “Bloody Sunday,” March 7, 1965, when marchers in in Selma, Alabama, attempted to cross the Edmund Pettus Bridge and were brutally attacked by state troopers, Patton joined the late W.W. Law and other Savannahians in a “Solidarity with Selma, Alabama Walk” on March 22, 1965. She remained a staunch advocate for voters’ rights throughout her life and periodically traveled back to Selma to join with Rev. Jesse Jackson, Sen. John Lewis, and others for reenactments of the Pettus Bridge crossing. She worked closely with the late Rev. Hosea Williams to help establish the non-profit foundation, Feed the Hungry and Homeless. In recent years, Patton frequently expressed joy that she had lived long enough to see the election of former U.S. President Barack H. Obama, the first African-American to occupy the White House. At the same time, she was saddened by the racial and gun violence which has continued to mar the lives of people in Savannah and throughout America. 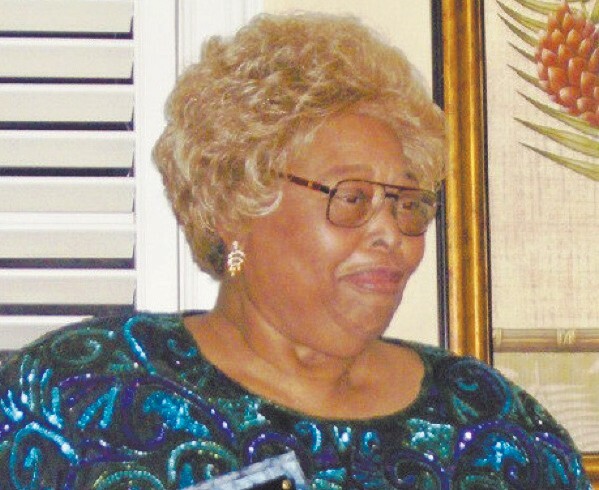 Continuing to contribute what she could to community efforts, Patton served as a panelist for the “Legends of Savannah’s Civil rights Movement and the CCCV” program held at the Jepson Center for the Arts in December 2008, and in 2009 served as a member of the Advisory Board for the Savannah Chapter of SCLC. As a member of the fraternal organizations the Prince Hall Order of the Eastern Stars and Daughters of Jericho, she established a number of courts to provide scholarships for college students. The civil rights legend’s dauntless dedication, labors, and philanthropy won her considerable acclaim and numerous awards. Among her many honors are: the Award for Valor and Courage (1964), the Civil Rights Icon Award (2009), and the Civil Rights Trailblazer Award (2011). It should also be noted that Vanda Trappio Patton was the widow of George F. Patton, grandfather of hip-hop musician, entrepreneur, actor and Savannah native Big Boi (Antwan Andre Patton) of Outkast fame. Sidney A. Jones & Campbell Funeral Services are in charge of the services.